Norwegian restaurant that features character dining with the princesses -- called Princess Storybook Dining -- at breakfast, lunch and dinner. 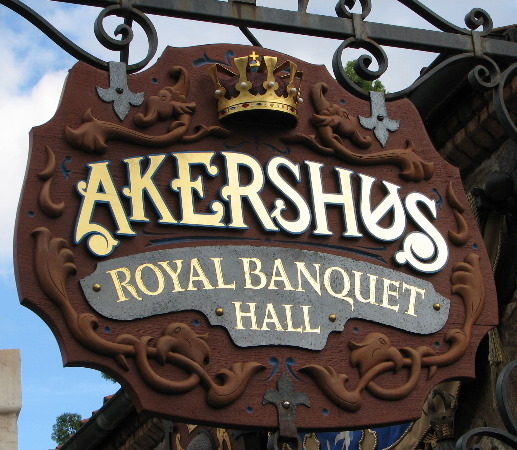 The restaurant is designed to resemble the actual Akershus Palace in Norway. Princesses circulate at all three meals. Characters featured on any given day may include: Snow White, Cinderella, Belle, Princess Aurora, Ariel, Mary Poppins, or Jasmine. UPDATE: The photo package was discontinued in late December 2014.